The Retributor is a dreadnought class ship for the Substrate. Assault Dreadnought - Tough Dreadnought that can annihilate large armies of cruisers and frigates. This assault dreadnought is an offense-minded heavy ship with a variety of weaponry. It boasts 4 Particle Beam Cannons that unleash devastating streams of charged particles to tear apart enemies, while its 6 light Plasma Cannons are excellent as a medium-range all-purpose air/ground defensive weapon. Devastating stream of charged particles tears apart enemies in front of the Retributor. Increases maximum shield capacity by 50% with an auxiliary reactor. Increase the Retributor shield to 16500. Adds Heavy Armor (+20% armor) to the Dreadnought by reinforcing the hull on the molecular level. Increase the Retributor armor to 80%. Emergency weapons protocol lets the Dreadnought overcharge its weapons in a terrible display of power. An emergency short-range targeting protocol for the Dreadnought's weapon systems which obliterates encroaching enemies. Increases the entire army's rate of fire by 25% by slaving lesser units' targeting routines to the Dreadnought. Strengthens the entire army's damage by 10% by applying theoretical physics principles to all weapon systems. Speeds the entire army's movement by 20% by increasing stress tolerance of hull superstructures. Similar to the Hyperion, the Retributor can be treated as a tier 3 combined version of Avenger and Mauler. However, the Retributor have stronger DPS in exchange for weaker durability due to not having the Self-Sealing Hull upgrade. Instead, the Retributor possesses very offensive-oriented upgrades and arguably the strongest set of army auras in the game (Targeting Computer - 25% attack speed, Energy Transfer - 10% damage and Inertial Dampeners - 20% movement speed), making an army led by a Retributor extremely dangerous if it has acquired high levels. Similar to most Dreadnoughts, the Retributor requires anti-air support. 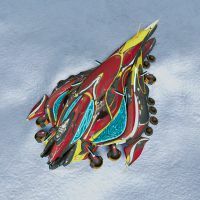 However, once the army auras upgrades are acquired, the supporting anti-air can pose even greater threat than proper anti-air fighters or even the Overmind, which makes the Retributor a very tempting choice, with the only obstacle being how to gain enough experience to acquire the upgrades. Being slightly different to the Hyperion, the Retributor deals with cruisers / frigates army by having a tier 3 unit durability (although much less impressive than the Hyperion) and a very strong powerhouse DPS weaponry instead. Approaching a Retributor with a cruisers army guarantees to incur serious cruisers losses. It's usually advised to have a leading Dreadnought so that the weaponry targeting priority of the Retributor is forced to attack the Dreadnought (not entirely) to help lessen the casualties. It's very important to take favorable engagements as much as possible with the Retributor, as being able to acquire at least 2 of the 3 army auras make the Retributor army extremely valuable, and cause the opponent having to invest in serious counter measure, most recommended being a Prometheus or Savager, to quickly destroy the Retributor and thus, removing the army auras. The most exploitable weakness of the Retributor is its position being the leader of the army at the front. This allows itself to be blown up by Nemesis-heavy armies and/or Eradicators/Heras-heavy armies before its trailing army can start to mobilize.